Today my alarm went off at 6:00 a.m. and let me just say, it was rough! I get up between 5 and 5:30 during the school year but I’m not quite ready to start that schedule again. I had a professional development class for the first half of the day. Afterwards I went to work in my room, but it seems like I just didn’t get enough done. OH well! 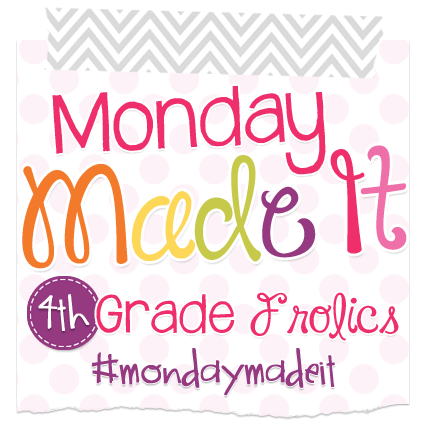 So today I am linking up with Tara from Fourth Grade Frolics for her Monday Made It linky! To be honest, I’ve been focusing more on the “make’it’s” for my house because once school starts all my home projects seem to go on hold. I found these darling frames at Michael’s this week for $2.00 a piece! 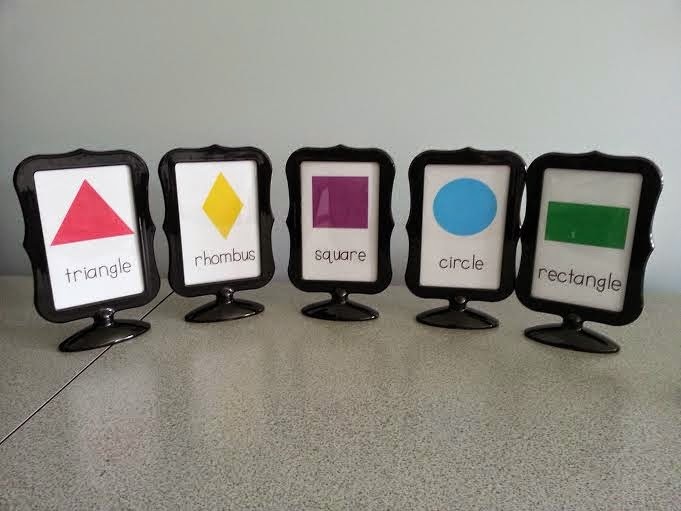 These will serve as our table signs this year. I will change the shapes out later in the year. I know I’ve been working on these forever but I finally have my dining chairs finished! 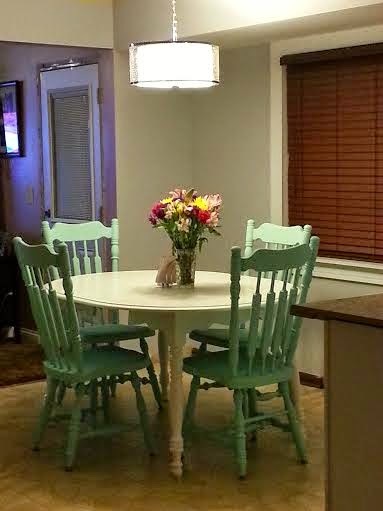 I chose an aqua color and used Annie Sloan Chalk Paint. Here is the finished product with the table that I painted in early July! 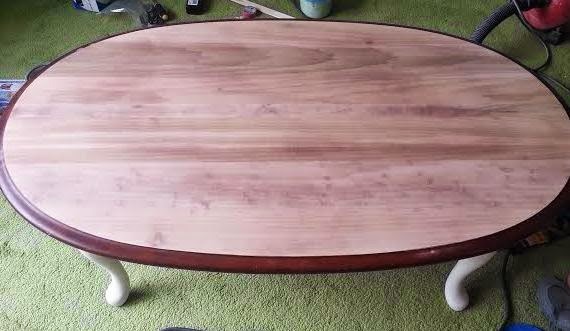 I’ve been looking for a coffee table for quite some time and haven’t really been able to find what I’m looking for. I LOVE the “farmhouse” look. White legs and a nice wood top. We went to an auction last weekend for my friend’s father. My dear friend lost her mother when she was 13 and lost her father this February. He passed away while visiting her in Africa while she was doing mission work. 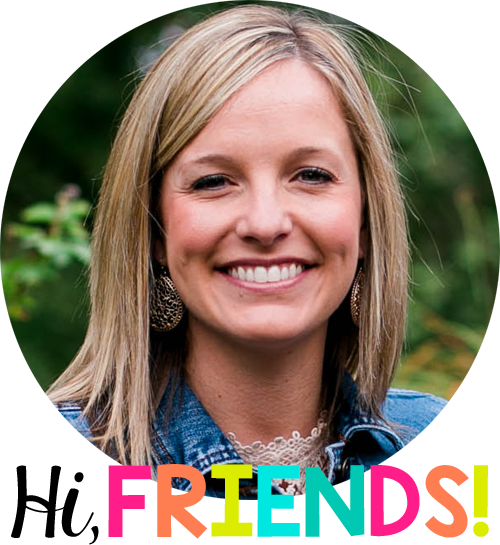 She has spent a lot of time in Africa teaching the people of Mozambique how to grow their own foods, and her father wanted to be a part of it. Although his death was sudden, we are all grateful for the time that he was able to spend there with her. The auction was one of the last things that had to be taken care of. I bought this because this family has been a huge part of my life and I love them dearly. I love thinking that I can have a part of them with me in my home. I’ve decided that I am going to give this table a farmhouse look. I’m not finished but so far I’ve sanded the top and painted one coat of chalk paint on the legs. 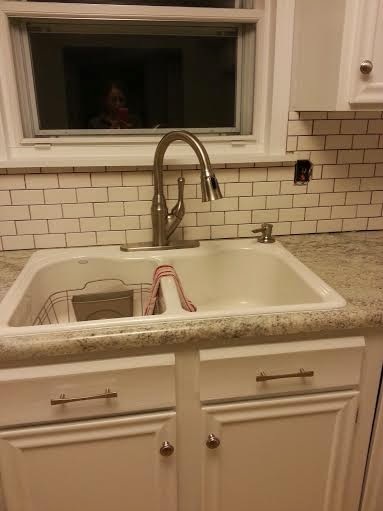 Yesterday my hubs and dad worked on putting up our kitchen backsplash! This picture was last night! Wish us luck as we finish grouting! Have a great week! !